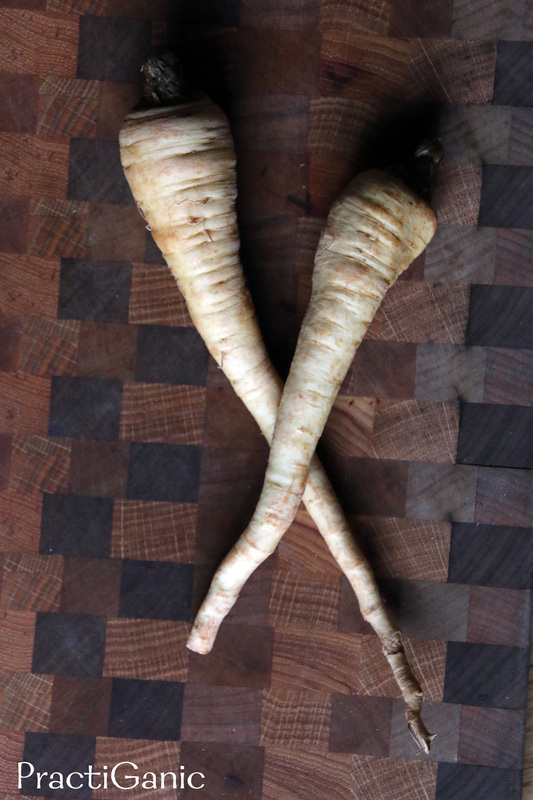 This past two weeks I got some great parsnips from my CSA. I have made soup, I have done fries. I really wanted a dip to snack on. 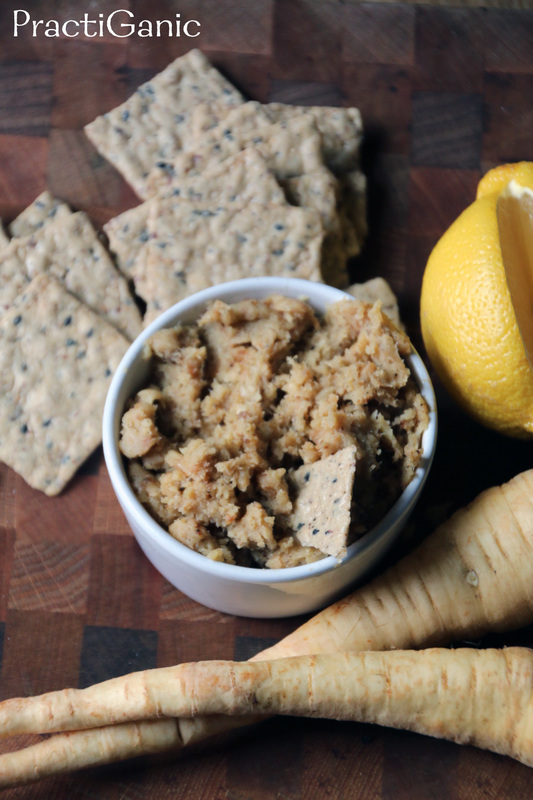 I did a quick google search for parsnip dip and all I could find was parsnip hummus. Sounded good, but a bit flat for my tastebuds that day. 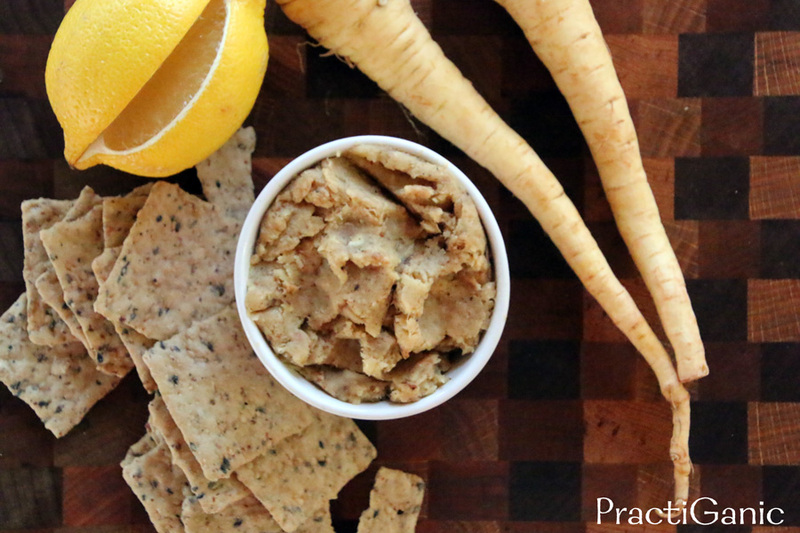 Hmmm ... what could I put in my parsnip dip to really tantalize my tastebuds ... horseradish! Lately, I have had a serious horseradish obsession. I will base an entire meal simply around horseradish being the main flavor. All of my sandwiches have vegenaise and horseradish on them. 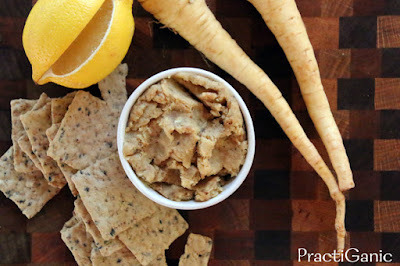 All of my dips are cheesy horseradish or mustard, dill and horseradish. I have even done horseradish for my pizza sauce (amazing with a little lemony roasted eggplant and pine nuts by the way). There are no limits to what I won't do with a little horseradish... well, I haven't had it with chocolate and ice cream yet, but I'm sure that idea is out there! Until then, parsnips and horseradish make a perfect pairing in my book! The most painful thing about this dip is it was exactly what I wanted, but it was the last of my parsnips. I really wanted to take a picture so I could share the recipe with you guys, but Paul and I really really really wanted to eat it! So, what happened? Bad, dark pictures, Paul and I got to devour the dip and you get the share in the fun of my recipe creation. I hope you like it as much as we did and sorry for the bad pictures! And if any of you have a secret horseradish recipe up your sleeve ... please, share it! Peel and trim parsnips. Cut into 1 inch pieces so they are all about the same size. Toss. with the first listed olive oil. Bake for 30 minutes or until nicely browned. In a bowl, add all ingredients. Puree with your hand blender or use a food processor if needed. Add more olive oil to get the consistency that you like. Also, add more horseradish if you want it a little spicier. From brand to brand, it's hard to tell the 'heat' of the horseradish that you're going to get! Serve right away if you like it a little warm or refrigerate until cooled and serve.